A few weeks ago I got to talking with a park ranger at one of the Manhattan sites about Cypress Hills National Cemetery. This person is a seasonal who does not live in New York City but is stationed here for the summer and will return to grad school in late August. He wants to make the most of his time here and is taking regular busman’s holidays to see this and that. One place on his list is the national cemetery. I hope he goes. Who knows? Maybe he already has given the level of interest he expressed. Spread out over parts of Brooklyn and Queens, CHNC is one of the original national cemeteries Lincoln created during the Civil War. A few years back I took the Hayfoot and a friend there on a brutal summer’s day. I am glad we went but in retrospect I saw that, well, maybe it would have been better put of until autumn. The Daily News sent a crew there over Memorial Day weekend. For me one of the striking things at the cemetery was the rostrum mentioned in the small clip. One sees this at Gettysburg, Antietam, and elsewhere and seeing one here in New York is a strange experience. Over on the Theodore Roosevelt Birthplace Facebook page I posted something about President Roosevelt’s 1905 Memorial Day visit to Brooklyn to unveil the statue for General Slocum. It is interesting to note that by 1905 Brooklyn was no longer an independent city but a borough within Greater New York. New York City was so big, though, that this was not the only commemoration going on that day; Manhattan held its own affair that ended at the Soldiers’ and Sailors’ Monument at 89th Street and Riverside Drive. Dan Sickles and Oliver Howard were just two of the dignitaries there. Brief digression: Directly below the New York Times’s description of those 1905 festivities was Police Commissioner William McAdoo’s declaration that Sunday baseball was in fact legal. 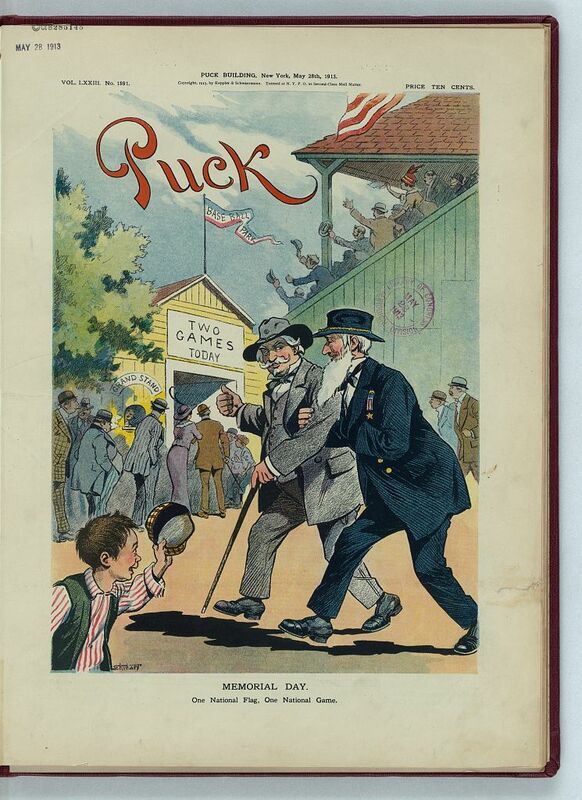 In the third and final of our Memorial Day weekend posts we turn our attention to this Puck cover from 1913. This is so ripe for interpretive possibilities that I hesitate even to add my own words. All I will note is how much older the veterans are here. 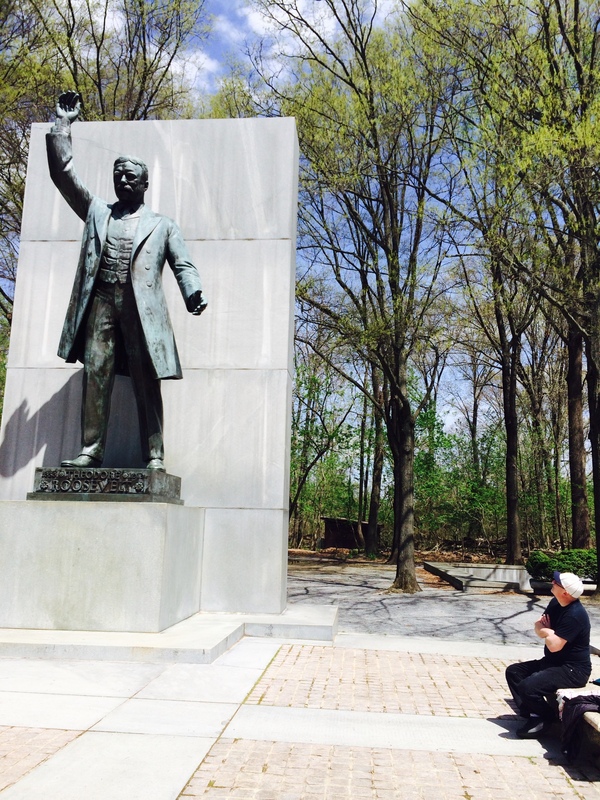 This would have been five weeks before the Gettysburg 50th reunion at which President Wilson spoke. So near and yet so far away . . . I wish I could be at the Nationals game today but alas that turned out not to be possible. Happy Memorial Day. Good morning, all. I am sitting on our patio with a cup of coffee enjoying this beautiful day. 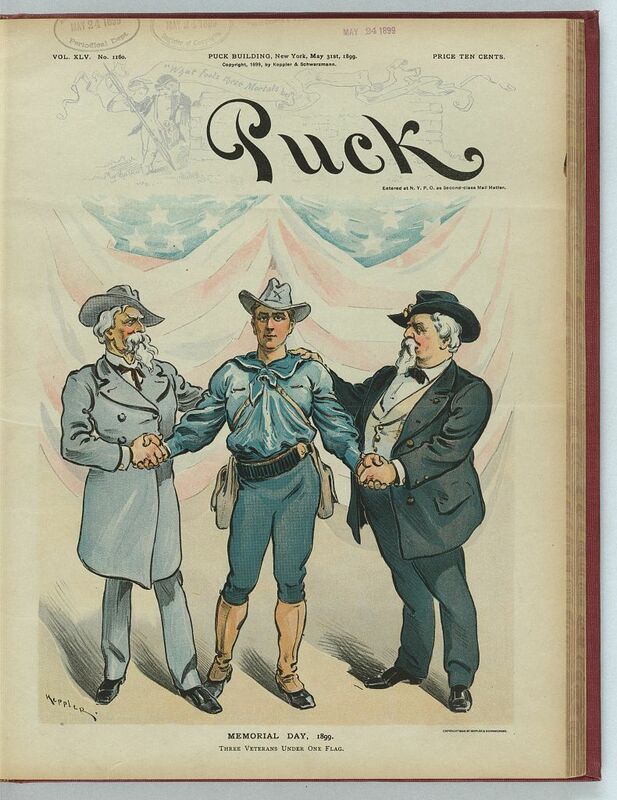 Today’s Puck cartoon comes from Decoration Day 1895. At this time Roosevelt had just taken over as one of New York City’s police commissioners. Before joining the NYPD he had been in Washington running the U.S. Civil Service Commission. In that capacity he tried to rid government service positions from cronyism. He was only partially successful. Two years into the second Grover Cleveland Administration the United States was mired in a terrible depression. Two of Uncle Sam’s biggest outlays during these lean times were for the Post Office, which Roosevelt had done his best to streamline, and Civil War pension benefits, which the uber-powerful Grand Army of the Republic veterans group protected fiercely and successfully. 1895 was just thirty short years after Appomattox. These veterans were moving from middle age into senior citizenship and their influence would hold sway for a good 15-20 more years. One of the reasons the posting has been lighter over the past few months is because I have been doing a fair amount of writing for the Theodore Roosevelt Birthplace website and Facebook page. With the season now underway at Governors Island I will soon be doing the same there. One reason I love the TRB so much is that it offers so many interpretive possibilities. Far from feeling I have gotten away from the Civil War intellectually, I believe I am even more close to it. Senator William Seward of New York gave his “Irrepressible Conflict” speech on 25 October 1858 two days before Roosevelt’s birth. Teedie came into manhood in the 1870s and 1880s when the country was getting back on its feet. I have something a little different for Memorial Day weekend. Between now and Monday I will be posting a few political cartoons from the era. Sort of The Onion of its day, Puck put this on its cover the first Memorial Day after the Spanish-American War. Both World Wars helped reunite the North and South. It is well known for instance that George Patton’s grandfather was a Confederate officer. Even though the Spanish-American War was shorter and required fewer men than these wars that came later, it had an even stronger and more immediate reconciliationist element. For starters Civil War veterans fought in Cuba, which took place just thirty-five years after Vicksburg and Gettysburg. Confederate General Joseph Wheeler, a West Point graduate and veteran of Shiloh and Chickamauga among other battles, commanded the V Corps’s Dismounted Cavalry Division which included the Rough Rider regiment. General Fitzhugh Lee, nephew of Robert E. Lee, led the VII Corps. By the time Puck put this on its cover Theodore Roosevelt had been back from the fighting in Cuba for nine months, feted around the country, and elected governor of New York. Update: The week before last a few of us at the Theodore Roosevelt Birthplace got to talking about this photograph. That led me to do a little online digging. which in turn led me to this piece by Heather Cole, the Manuscrips/Curator of the Theodore Roosevelt Collection at Harvard’s Houghton Library. 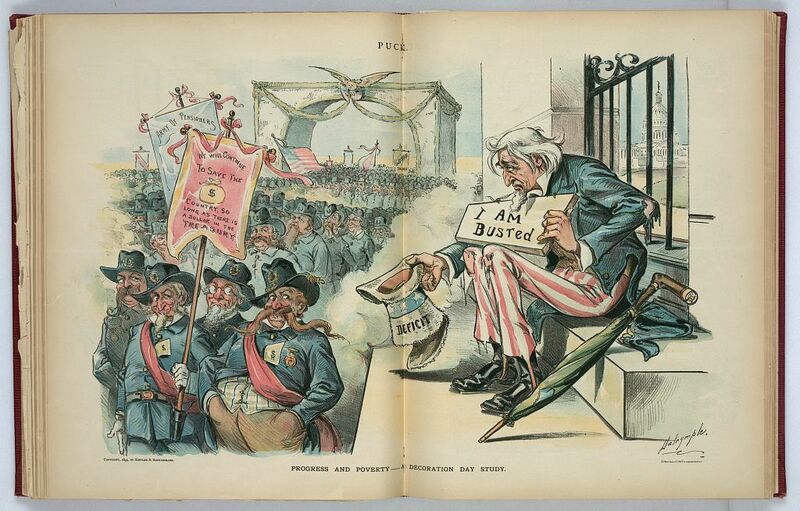 The photo is from a 1912 political cartoon that also featured William Howard Taft and Woodrow Wilson. 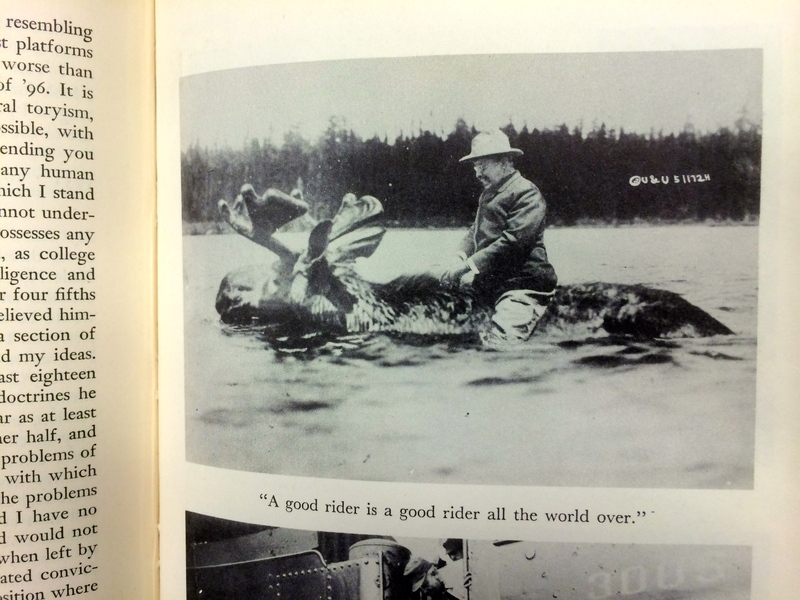 Alas, Theodore indeed never rode the moose. It would have been a great story if real but the truth is the greatest story there is. I reached out to Ms. Cole to share both my post below and the story of the conversation the rangers and I had at the TRB and she graciously returned my message. I’m glad she researched this and shared it on the Houghton Library blog. I was searching for something in The Letters of Theodore Roosevelt this morning when I stumbled upon a photograph I have seen numerous times. I was startled because it was one of those things I had only seen online and had assumed to be a fake. Here it is as I snapped it on my cellphone, uncropped to emphasize that it came from his Letters. I was so surprised because although I have seen this photo a number of times it has always been online. What’s more, it is usually accompanied with a cheeky quote or comment pasted onto it. I have even posted it myself on the Facebook page. It seemed–and still seems–like one of those pics that seems to good to be real. One always semi-assumed that when one saw it. This was not the internet however. Roosevelt’s Letters were edited in eight volumes for Harvard University Press in a early 1950s by a team of esteemed scholars. It has been in continuous print for sixty years. That would seem to have a little more cachet than just something one sees online. Photoshopping obviously did not exist back in the day, but the manipulation of images is as old as the photography itself. I would love to know more about this photograph and whether it is indeed the real thing. I am having my morning coffee with Magical Mystery Tour on the turntable. I’m relaxing a bit before heading off to work. My library is open the last two Sundays of every semester for students to study for finals. I am always moved by the hard work and studiossness students put in at crunch time. I snapped the above photo yesterday from the front steps of the Theodore Roosevelt Birthplace. 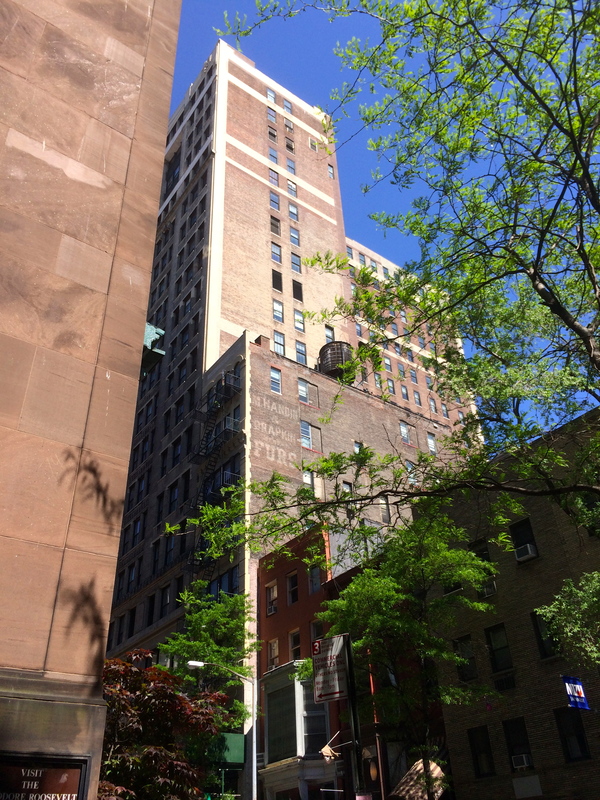 One of the rangers and I stepped out to get lunch at noon and were talking on the way of how interesting it is to work/volunteer in the Gramercy Park neighborhood. It is such a fascinating area and once the center of New York City shopping and leisure life. In my 15+ years of living in Gotham I never spent much time there. It is not an area that brings in tourists, what with Union Square 5-6 blocks to the south and Times Square 20 blocks north. Of course that is no excuse not to visit the TRB. If one looks closely at the smaller building there is a painted advertisement for a furrier on the side. It is quiet faded because it has been eastward and getting the morning sunlight for decades now. The best preserved are exposed when a building is torn down uncovering an ad for some long forgotten product or company. 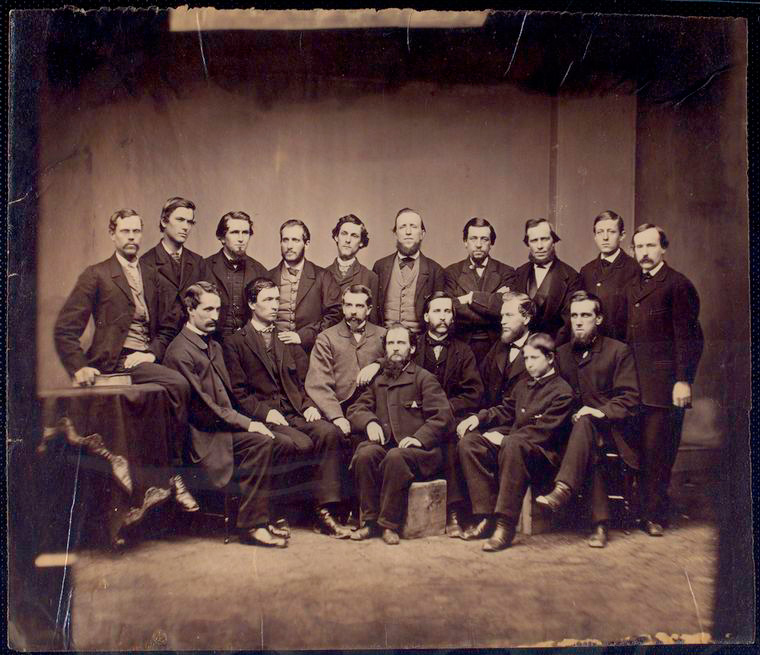 When I was at the New York Public Library last night I came across this fascinating photograph of various members of the United States Sanitary Commission. New Yorkers such as these played an outsized role in supporting the Union Cause and yet their contributions often go unnoticed. That is why I am having so much fun working on this book about Theodore Roosevelt Senior and his colleagues. Many of these individuals did so much from 1861-65 and then contributed to national life for decades to come. Last night before crashing and burning exhausted I finished Showtime, Jeff Pearlman’s new book about the great Laker teams of the 1980s. Because my family roots are in Boston cheering for the Lakers would have been heresy. Thirty years later I don’t have to care. Call it the miracle of growing older. The NBA Finals that always sticks out most in my mind was the 1984 contest between the Lakers and Celtics. By this time my family had been uprooted and marooned in South Florida for nearly a decade. Rationally or not, we saw the series as a connection to something deeper than just who would win the NBA trophy. One must remember that this was still the period before the NBA had become the streamlined entertainment juggernaut it is today. 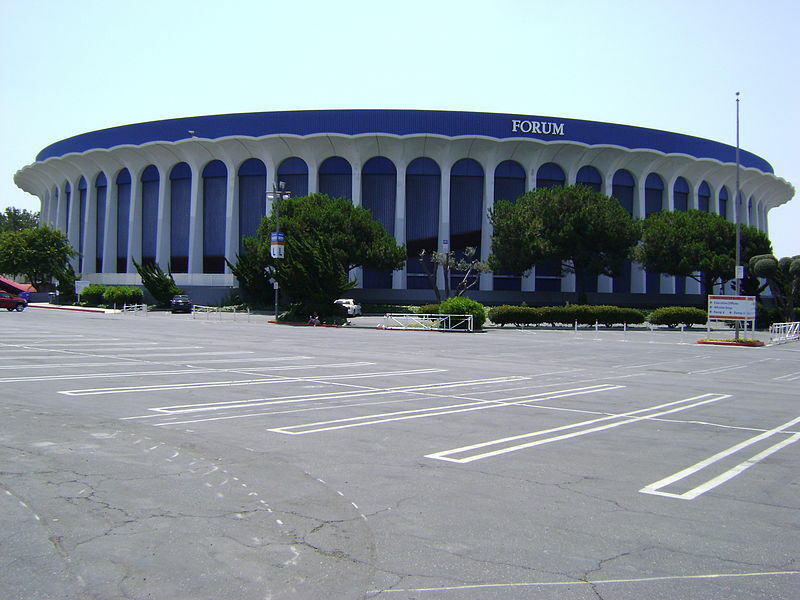 Just a few earlier the NBA finals were not shown live on television; so inconsequential had the league become that the network televised the finals on tape delay after the late news. Read that sentence again. Lakers vs Celtics had everything. It was East Coast vs West Coast, Bird vs Magic, the return of a historic rivalry, and yes there was a strong racial element added into the mix, though I personally never got caught up in that. The Celtics took that series in seven games and won at home in the old dump that was Boston Garden. What I remember the most is that the following week my family and I returned to Boston for my grandparents’ 50th wedding anniversary. My grandfather picked us up at the airport later on the same day that the team had its parade. For reasons I have never understood he was curiously determined to downplay the entire thing. Because it was the pre-internet days my brother and I walked down to the corner store and bought both the Globe and Herald over the few days we were back where our roots lay. The Lakers and Celtics played in the finals the following year and again in 1987. For me though it was never the same. The 1980s have a strong before and after element. I graduated high school in 1985; after graduation I was another young person trying to figure out my place in the grand scheme of things. Showtime began in 1979 ran its course until Magic Johnson’s announcements that he was HIV positive in November 1991. Reading Pearlman’s excellent narrative reminded me of how long that was and what I left behind. The Boltbus has been a part of my and the Hayfoot’s life since we met six years ago. At first it was her going to meet a friend for the weekend. Then, as we knew each other better we would both go down to see the sites. It was in a Washington hotel room that I proposed. Now, with her working in the area one of us is on the bus every few weeks. It is part of our everyday life. One thing I always note when the bus is approaching DC is how there are two Washingtons: the official one that tourists and public officials inhabit and the inner-city version one sees entering town. Like New York City Washington has gentrified a great deal over the past 15-20 years. The Boltbus itself is a product of that gentrification. Still, there are pockets here and there where one sees signs of the civil unrest of the 1960s. No, I am not old enough to remember the 1968 riots there and elsewhere, but I have been around enough to remember when the wounds were still raw. It is something I think about every time the bus is pulling in. Here is some incredible, recently discovered film footage courtesy of media company CriticalPast. Looking closely at some of the additional footage, I noticed that some of the soldiers were from the Big Red One, which until a few years perviously had been stationed at Governors Island. Posted by Keith Muchowski in Monuments and Statuary, Theodore Roosevelt Birthplace (NPS), Washington, D.C. When in Washington over spring break the Hayfoot and I went to Roosevelt Island. This out-of-the-way site is something most tourists never see, which is understandable given that it is a little difficult to get to. Still, as the crow flies it is only a mile or so from the Lincoln Memorial. 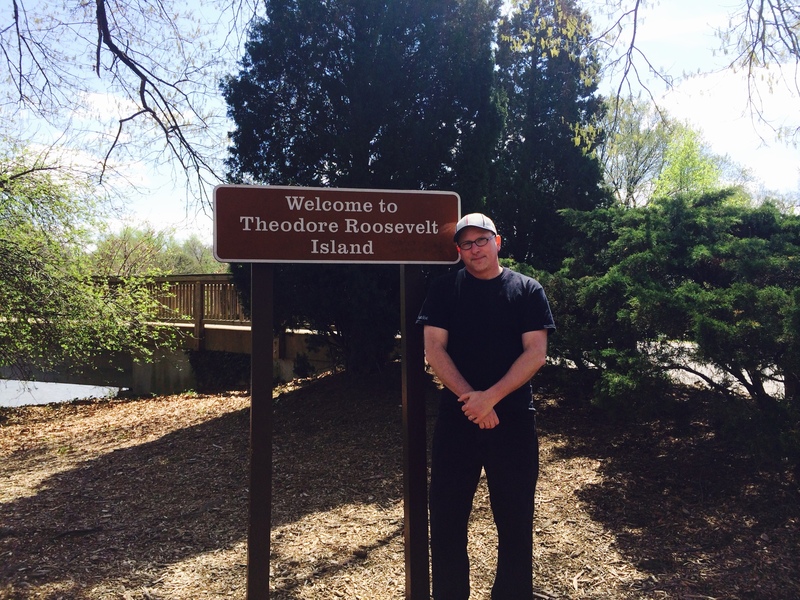 Roosevelt Island rests in the Potomac River and can be reached from the Roslyn stop on the Blue Line. The Iwo Jima statue is at the same stop but we missed that this time around. Look closely through the trees and you can see the skyscrapers of Arlington, Virginia from the island. 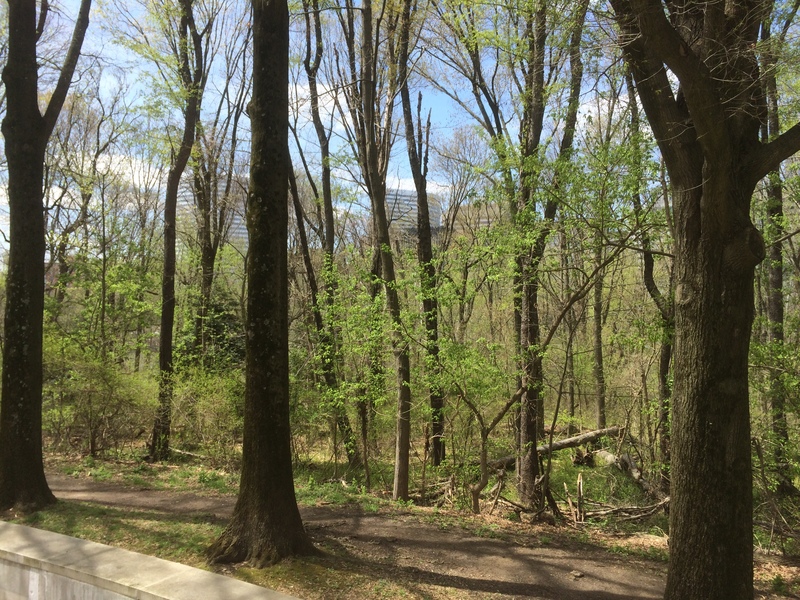 Landscape architecture is fascinating because the designer must be thinking decades down the line as to what his creation will look like when the trees and foliage fully mature. 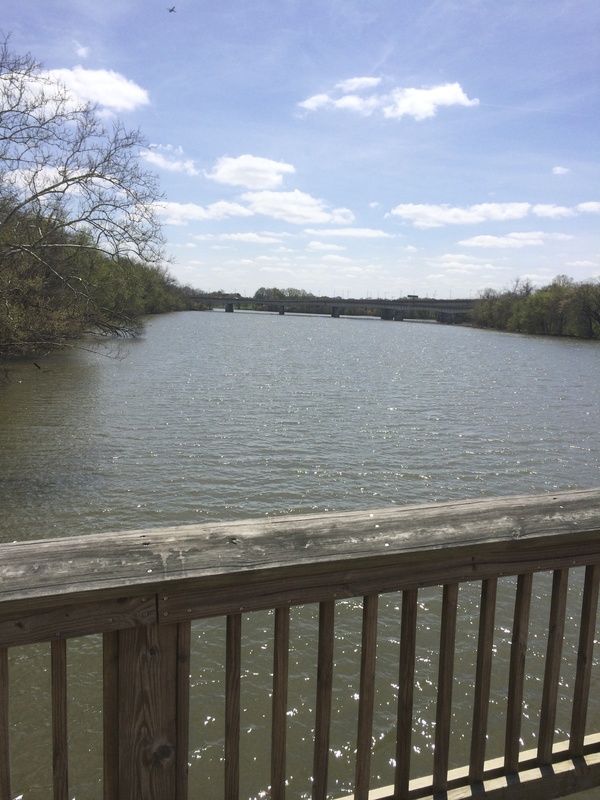 One of Roosevelt Island’s charms is its tranquility so close to the Greater DC sprawl. The degree of difficulty in reaching the island is intentional. The planners wanted people to visit but also intended it to be a refuge. Believe me, you have to want to get here. Again, this is just a long toss from the Lincoln Memorial and the other sites on the Mall. 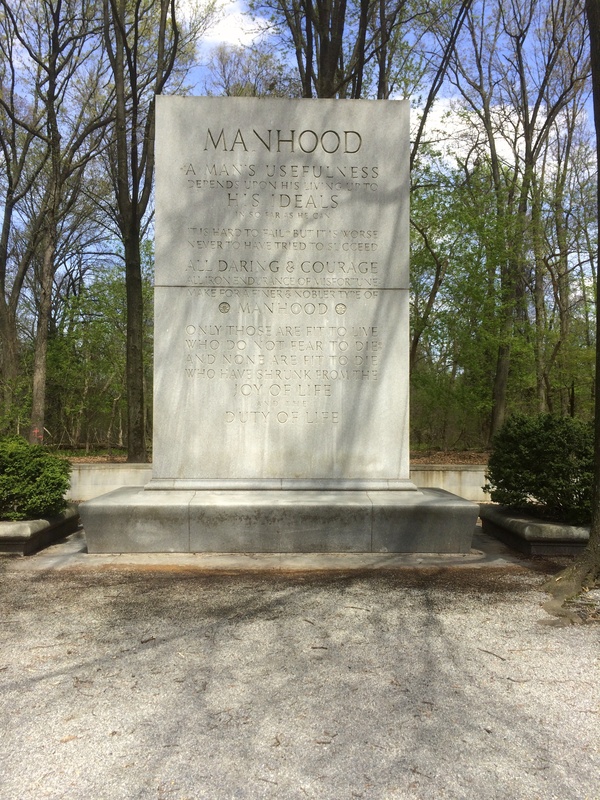 It may seem like pristine nature, but the island and memorial were a planned environment built by the Roosevelt Memorial Association in the 1930s. The RMA purchased the island from the Washington Gas Light Company for $364,000 and donated it to the American people in 1932. Paul Manship designed the statue. It is more severe in photos than in person. The surrounding tress soften the subject’s commanding size and pose. Frederick Law Olmsted Jr. created the ninety acre island’s landscaping. The statue came several decades after the memorialization of the island itself. The Depression, World War II, and other issues took precedence over the statue’s creation. 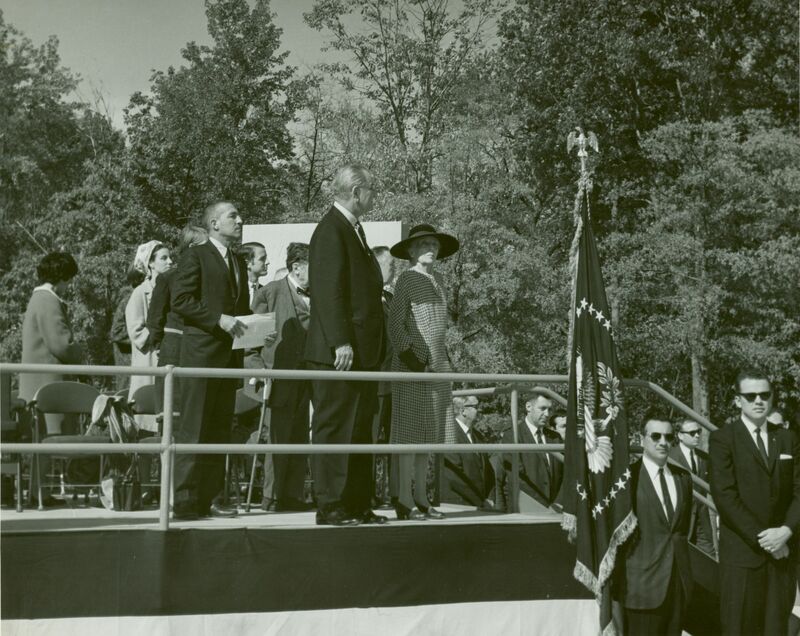 Lyndon Johnson dedicated the statue on 27 October 1967 with Alice Roosevelt Longworth in attendance. This monolith is one of four. Each notes an attribute considered important by Theodore Roosevelt. Our only mistake was not bringing lunch. I have a feeling we’ll be back come summer.